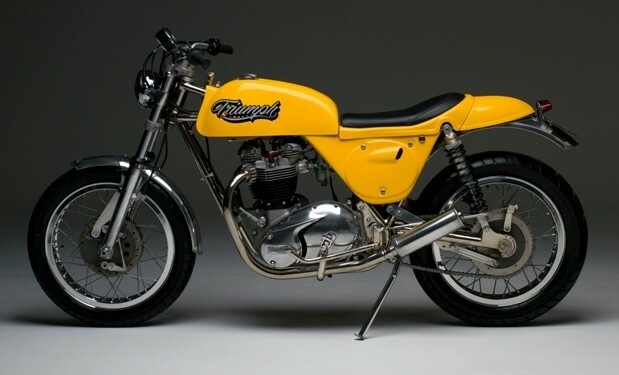 Rob Rhind Tutt started making his RT3 frames in the early sixties. The Rickman frame has two full loops, each is made of two main tubes. 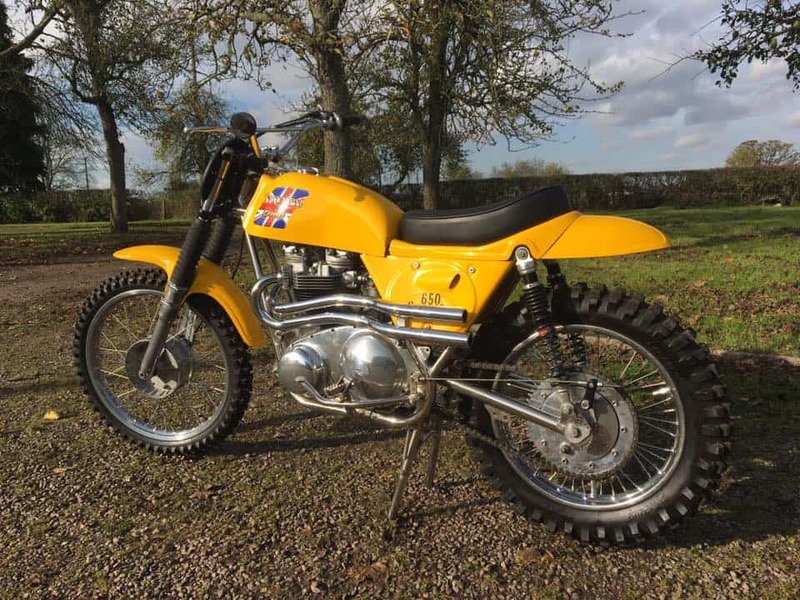 One swoops down from the top of the steering head in front of the engine, passes under the engine then cranks up and finishes at the rear shock absorber top mount. 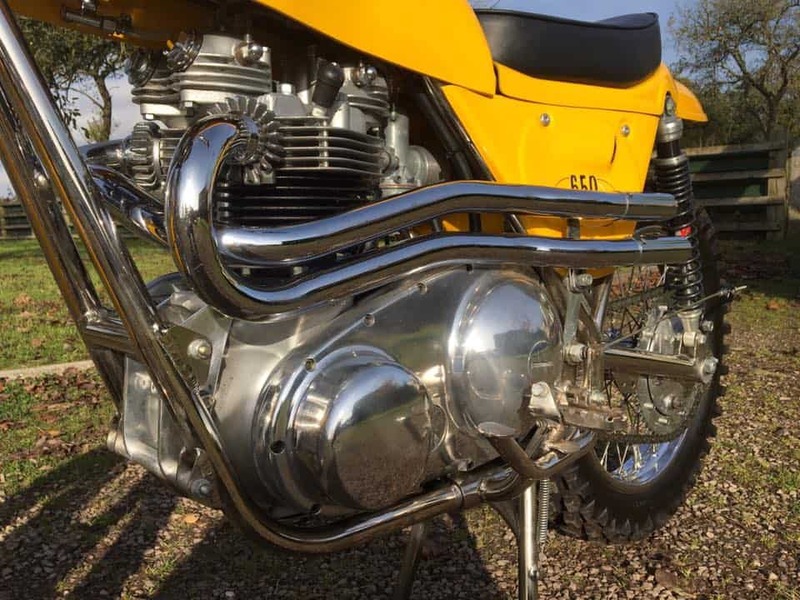 The second is welded to the first tube close to the swinging arm pivot, this then heads upwards behind the engine, then over the top of the engine before joining the bottom of the steering head. 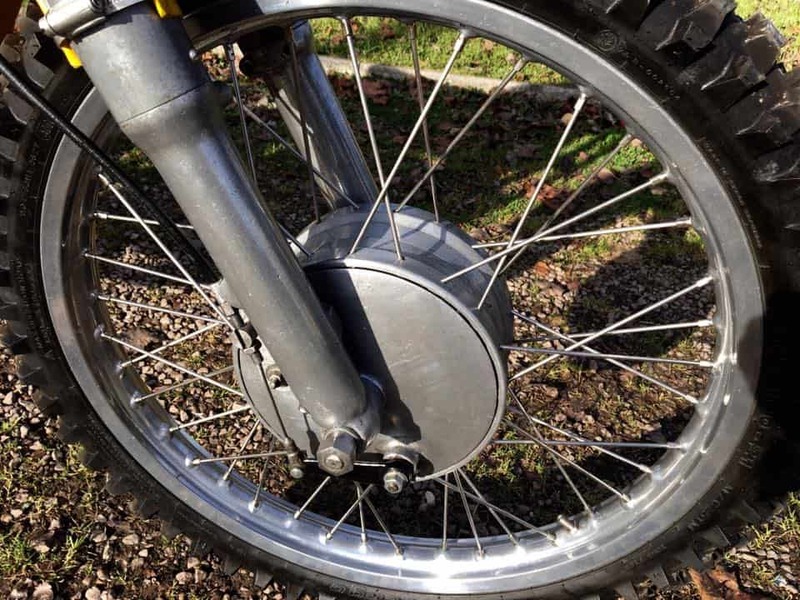 This gives two areas of weakness the welded joint near the swinging arm pivot and the point at which the frame tubes cross over just behind the steering head. 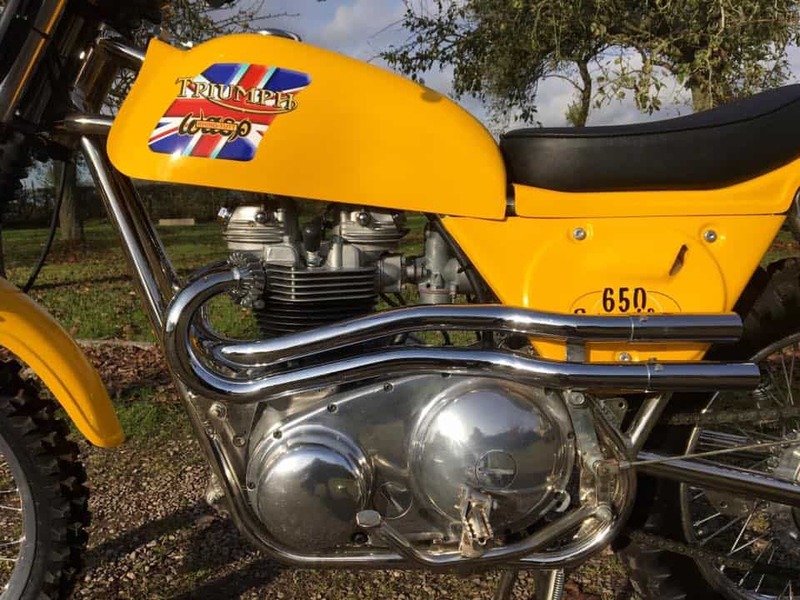 The former is strengthened by a pair of hefty plates carrying the swinging arm pivot point and the latter requires some serious head- steady bracing (like on the Norton Featherbed). It isn’t really a surprise then that Rickman frames that are used on modern motocross tracks with huge jump tend to break their frames in the area of the steering head cross over. When you come to adjust the rear chain on a Rickman you are in for a horrible task. 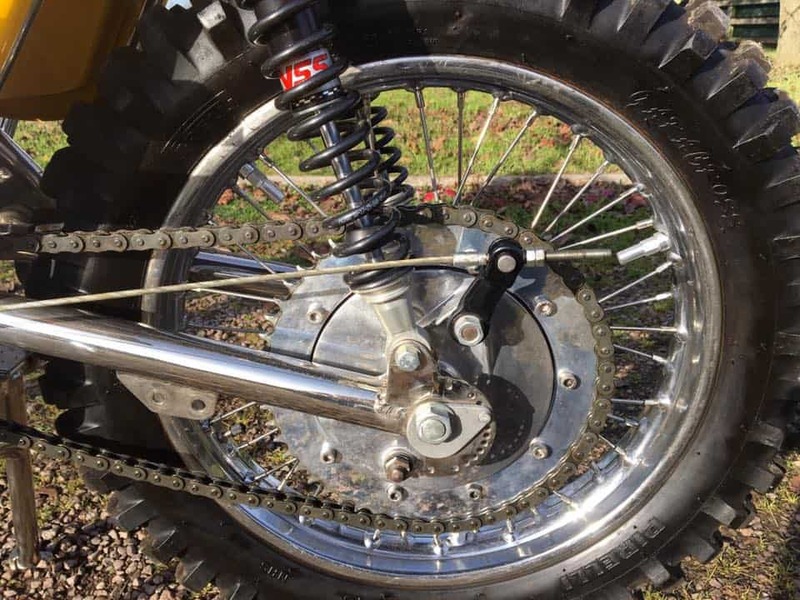 Adjustment is done at the swinging arm pivot point with a huge variety of different eccentric discs that have to be replaced by a trial and error process, until the correct one is found……not a job you’d wish to carry out ion a rush between races, in a muddy field. The Wasp RT3 frame is made from two full loops of smaller diameter tubing. 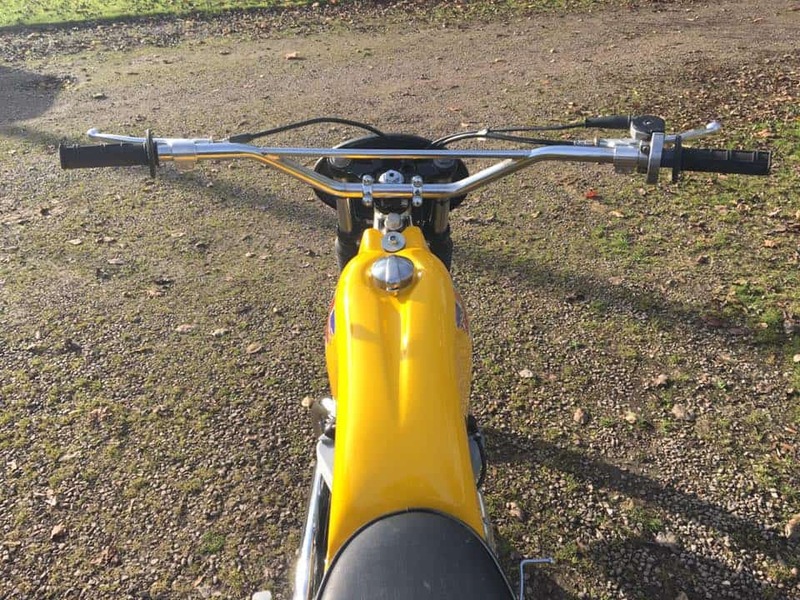 Each tube starts at the bottom of the steering head then swoops under the engine before heading back up from the swinging arm pivot straight to the top of the steering head. 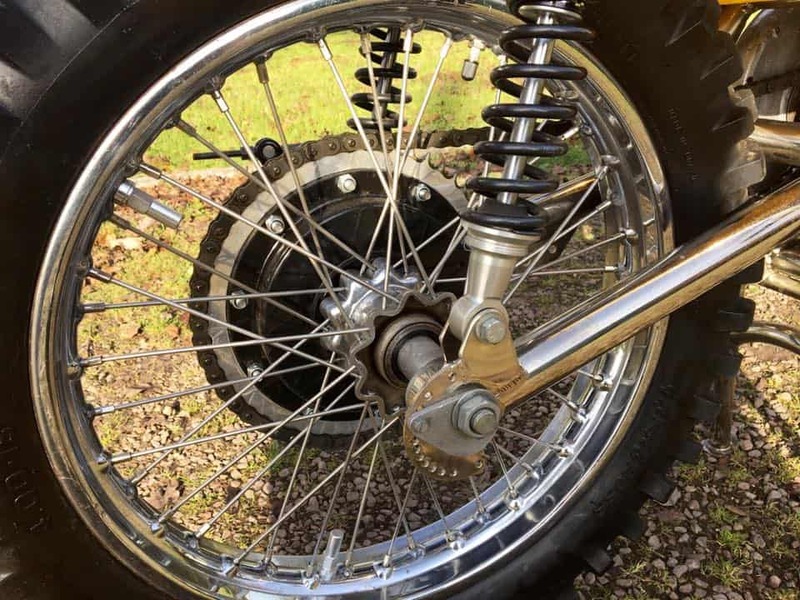 By avoiding a tube cross over at the steering head it is intrinsically stronger and most Wasps don’t need to run a head steady…..the frame is that strong! This frame design is the same as the later Rob North Triple race frames. When the time comes to adjust the rear chain, the adjustment is carried out at the rear wheel spindle. where a pair of beautifully crafted aluminium offset drilled spindle holders rotate inside the swinging arm and then get pegged into a crescent of holes which give exact linear movement increments, through their rotation. It really couldn’t be easier. 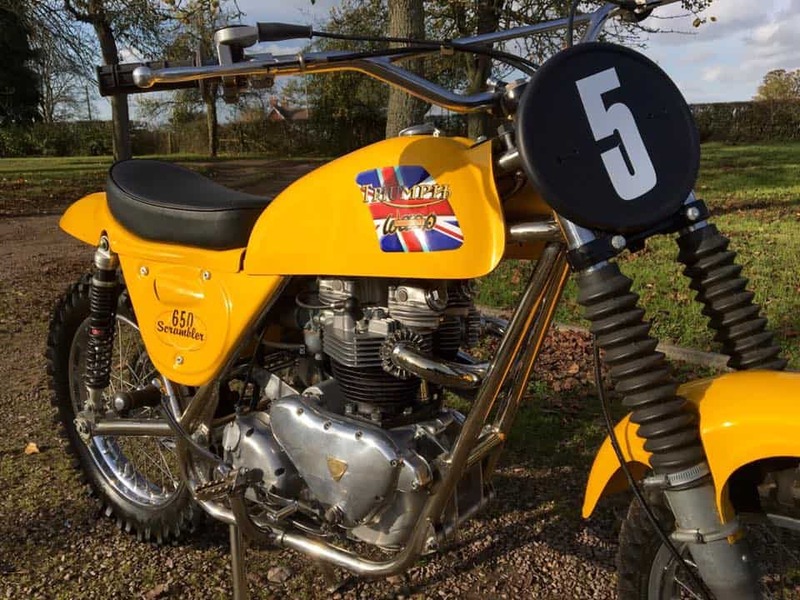 While the Wasp frame was used successfully by a number of top racers in the sixties, it is the Rickman that was produced in greater numbers both then and now. 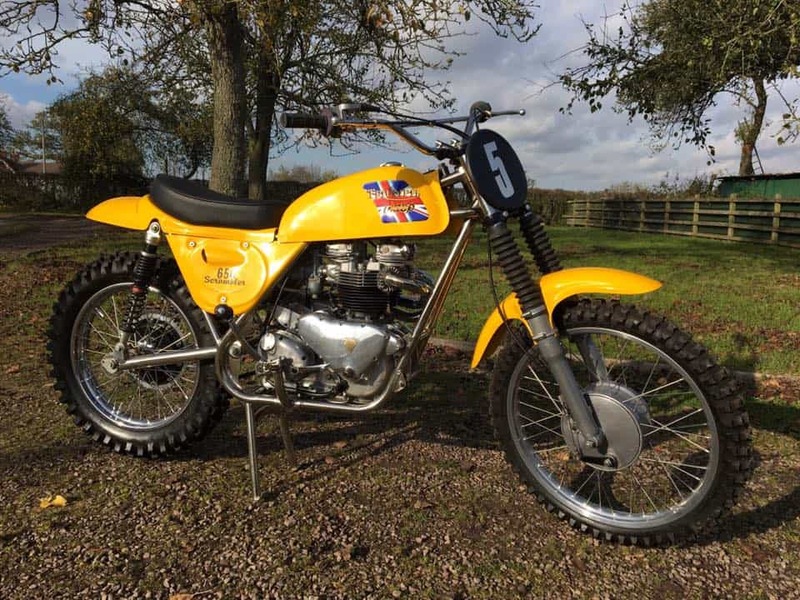 In the mid 1960’s Rob built a run of about 8 RT3’s intended for tarmac racing rather than for playing in the mud, on of these was used by a serving Royal Marine Sergeant in the Singapore Grand Prix in 1966 running a 650 pre-unit Triumph engine and AMC gearbox together with Norton forks and wheels. 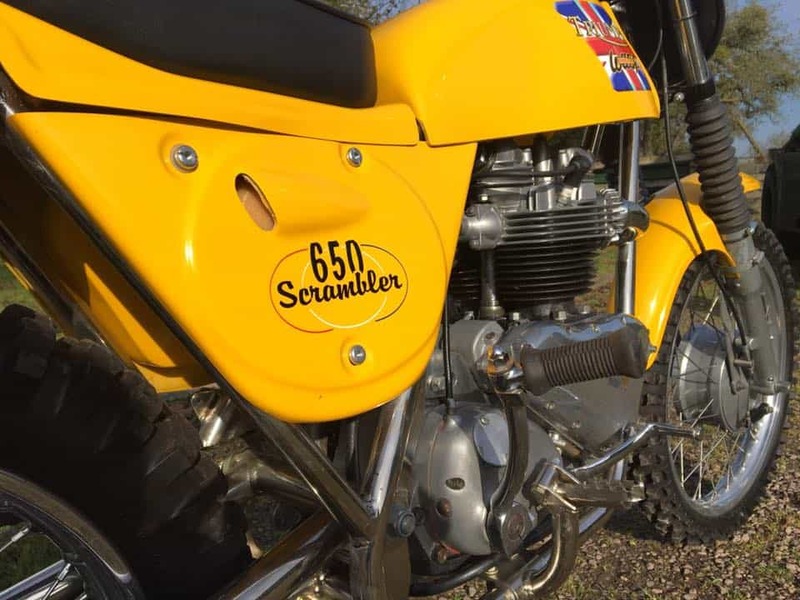 Another RT3 was used by Brian Scammell running a unit 500 Triumph engine, which Brian later up-rated with his own designed and manufactured double overhead cam top end. 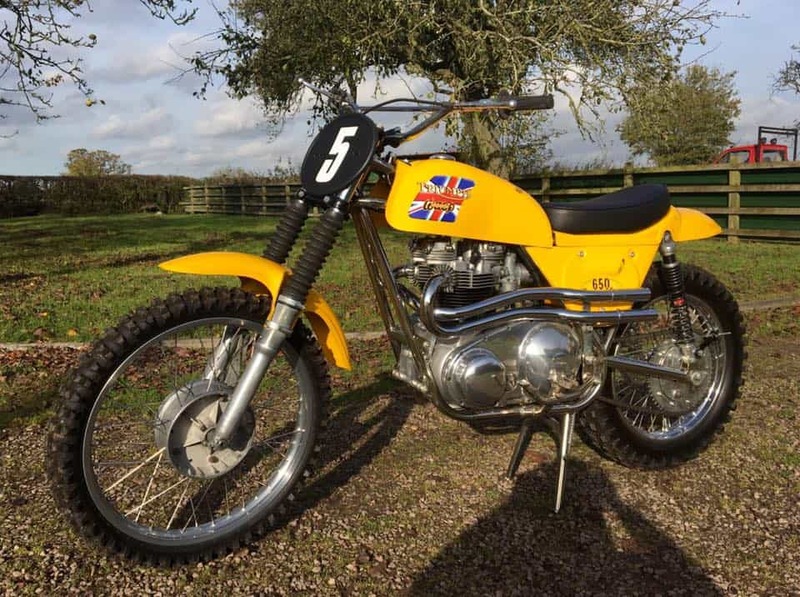 This was raced by Brian on British race tracks from about 1966 through to 1972. 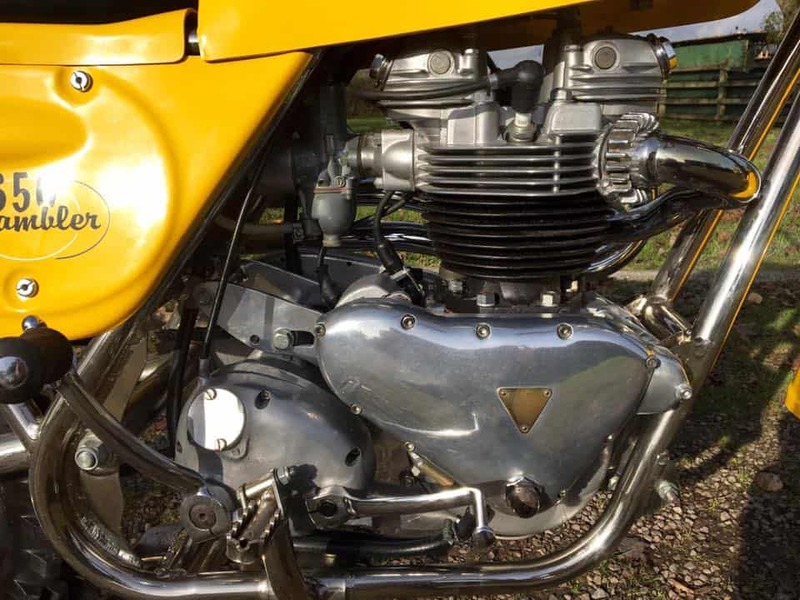 In the Restoration Gallery is a selection of photos of Wasp RT3 framed bikes, showing they can be fitted with a variety of different engines from Triumph Unit 500 to NRE 950 and everything in between! 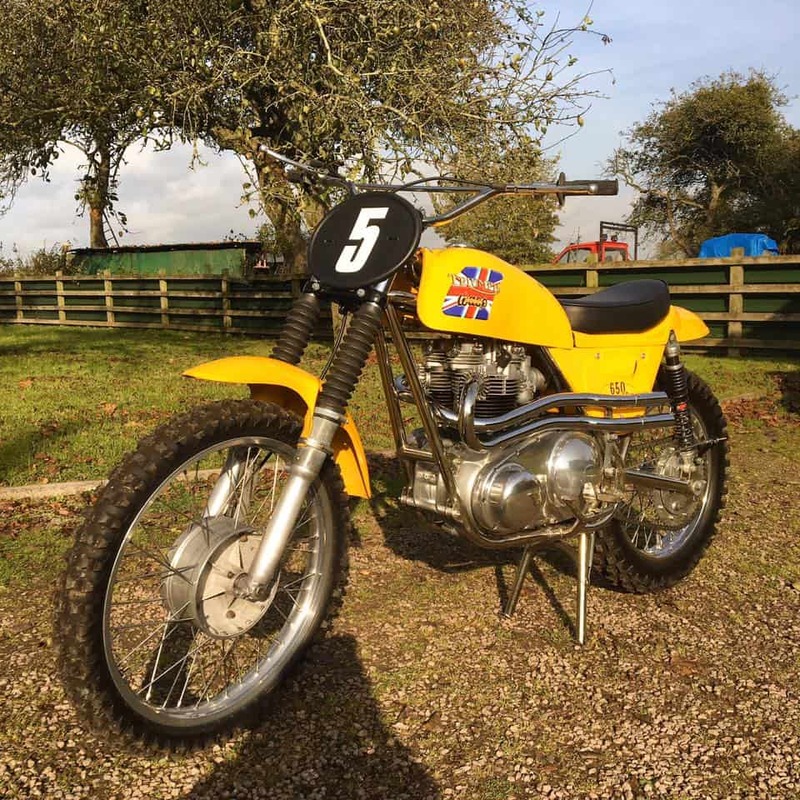 This entry was posted in Blog and tagged 650, chromoly, Dunstal, John Banks, Mk3, Moto Cross, motox, Rhind Tutt, rickman, RT3 Triumph, Salisbury, scrambler, triumph, Wasp.